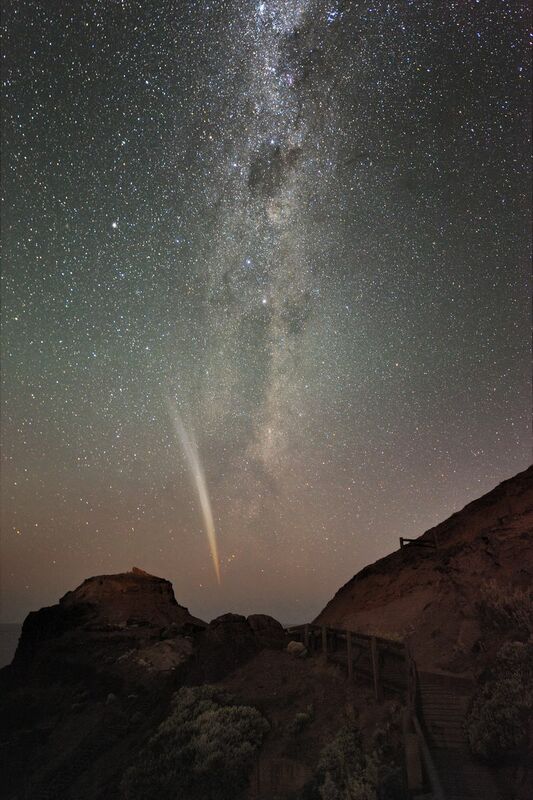 The Comet Section of the Astronomical Society of Victoria was formed in December 2004. The section was formed to meet the needs of ASV members, who want quick, and reliable information, on all things related to comets. The section unites members who want to learn about comets, and communicates up-to-date information on how to observe, and record comets, through its Yahoo Comet section page. Members are encouraged to share their experiences, and occasionally get together, to observe and discuss cometary issues. The section also contributes to "Crux" and other International Cometary organizations, where our information can make a difference, and is sort after. With the Linear and Neat projects targeting the Northern skies, there are still opportunities for our members to discover a comet eg Bill Bradfield. The section organises occasional meetings, and observing sessions for its members. Comet bulletins are sent to members regularly from the director, containing information on new comets, outbursts, and any new developments. Members are encouraged to submit their reports, or any matters, they want to discuss. View the image gallery or visit our dedicated page. Membership is open to ALL ASV members.